Summer time has me dreaming of all things beachy and tropical. Summer is not officially here just yet, but it sure feels like it where I live. No matter where you live, you can create a tropical paradise in your own backyard, at your parties or at your tailgates. So get inspired and grab your hat, sunglasses, self-tanner....lounge in the shade on your hammock, while you sip your frosty concoctions from your favorite glassware. Let's make this a stylish summer! 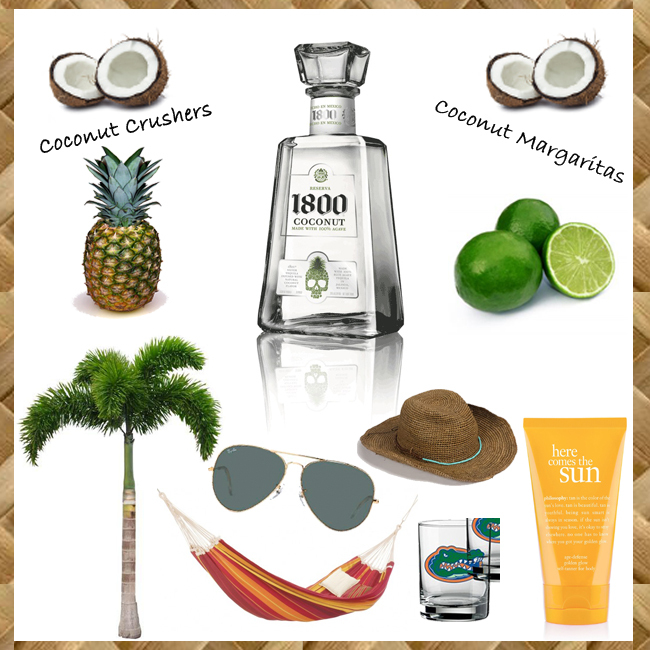 Here are two of my favorite recipes to get you started using 1800 Coconut Tequila. Combine ingredients in a shaker and strain into a rocks glass filled with ice. Garnish with a lime wedge. Combine ingredients in a shaker and strain into a rocks glass filled with ice. Garnish with a slice of pineapple.